You are here: Home / Uncategorized / Would You Accept a Nanny Job if You Couldn’t Use Your Cell Phone? Would You Accept a Nanny Job if You Couldn’t Use Your Cell Phone? Should Nannies Be Allowed to Make Personal Calls and Texts When Working? A nanny contacted Be the Best Nanny Newsletter blog yesterday looking for advice and we thought it would be best to ask other nannies for their opinion on the topic. The caregiver has been offered a nanny job she is considering taking but the parents have asked that she not use her cell phone while working. In 2009 The San Francisco Chronicle discussed the fact that nannies, au pairs, and parents are spending more energy on their cell phones and barely observing the kids in their care while at a playground. 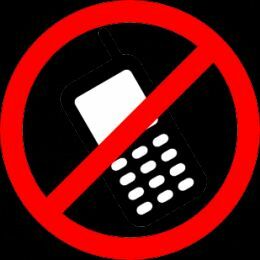 In 2011 we asked 27 nanny industry experts if nannies should be allowed to text and use their cell phones while working and the overwhelming majority expressed nannies should limit their personal cell phone usage while others restrict personal use of mobile phones while working entirely. The reality is that nannies commonly carry cell phones. Many families require it for emergency situations. If a child comes down with a fever or they get in a car accident the nanny can easily call the parent at work. Also, parents like to check in throughout the day; they might want to find out if their child went down for a nap or let the caregiver know they’re running late. Some parents also provide mobile phones to their caregivers with global positioning systems to track the nanny’s location as well. Some nannies use their phones too much to talk text and surf social media and it’s debatable whether this is acceptable. There are parents who feel strongly that their nannies shouldn’t be making personal calls and texts while on the job. They believe it’s best for a child’s development and safety to be fully engaged with an adult throughout the day. It’s obvious that cell phones are helpful in case of an emergency for nannies. And almost all kids carry cell phones today. What do you think? Do you make personal cell phone calls and personal texts during work? Do you think it’s okay for nannies and au pairs to make personal texts and make l calls when working? Moderation is the key in anything. In the articles the point is when nannies or parents are texting the kids are unattended. Nannies and parents need to put down the phone when at the playground to protect the kids, make sure they are safe and not bullying other kids. To not carry a cell phone is not reasonable. But don’t over use it.